Finished. I have been working on this piece for a few days now, pretty happy with how it turned out. 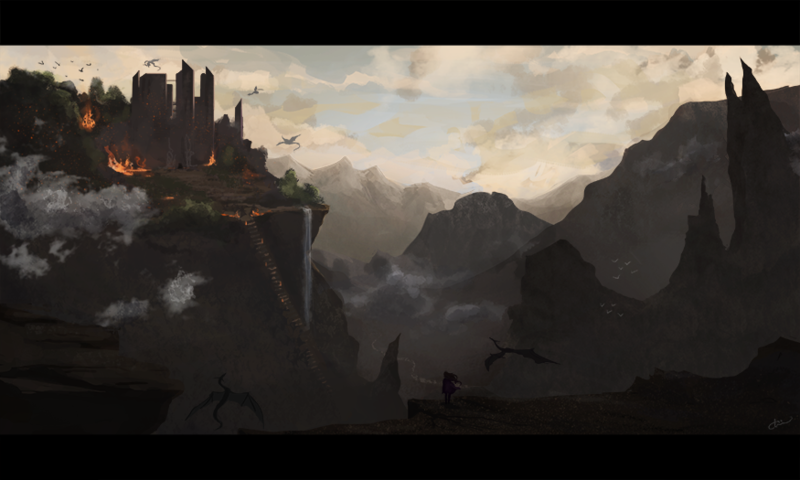 I've always had a struggle with environments but this particular one turned out pretty good if I may say so myself. This is a piece from my own alternative universe and Tein is my precious Dragon Mistress. As you might have guessed by the title, this is her very kingdom.